The Lexin LN95 is part of the inset stainless steel kitchen sink range from PlumbNation. 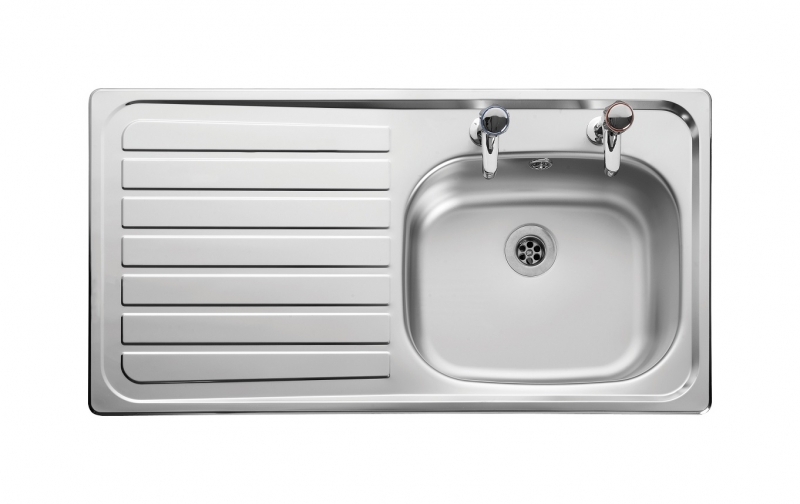 The LN95 Lexin is a single bowl, single drainer, 2 tap hole, stainless steel kitchen sink from Leisure. The LN95 has the same modern design as the Lexin LE95 but is made from a higher grade of stainless steel. The Leisure Lexin LN95 is available with an optional left or right hand drainer, and comes with a 10 year manufactures guarantee. There are 6 item(s) related to this product.